Product categories of Air Jet Loom, we are specialized manufacturers from China, Air Jet Loom, High Speed Air Jet suppliers/factory, wholesale high-quality products of Terry Towel Loom R & D and manufacturing, we have the perfect after-sales service and technical support. Look forward to your cooperation! 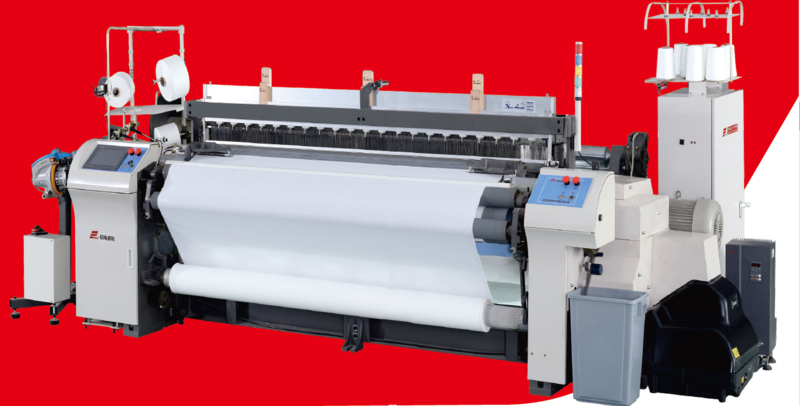 RFJA30 Air Jet Loom is developed by Shandong RIFA Textile Machinery Co., Ltd which has the most advanced performance on the base of the merit of RFJA20E, it is developed for meeting higher weaving requirement. 1)Adopts the latest electronic control system. 3)New designed low vibration beating balance system. 4)New designed main nozzle stretch air cylinder structure. 5)New designed double back rest let-off structure. 6)Higher efficiency weft insertion system. 7)Adopts super power-saving electromagnetic valves and nozzles. 8)The First Weaving Expert System in China.